I think I must be the luckiest author out there. I have been so blessed with totally excellent cover art. This landed in my inbox this weekend and I couldn’t be happier with it. 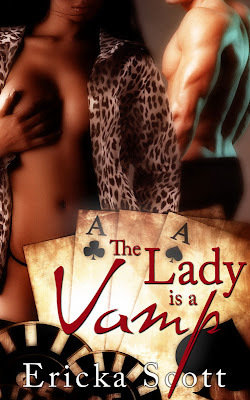 It’s for my upcoming release, The Lady is a Vamp, coming from Total E-bound in February. The cover was designed by Natalie Winters. This entry was posted on Sunday, December 14th, 2008 at 12:17 am in Uncategorized. You can feed this entry. Responses are currently closed, but you can trackback from your own site.